Jenny Randle has been featured in Inc. Magazine, seen on ABC, and heard on The Happy Hour with Jamie Ivey, as well as numerous other podcasts. Follow the links below for more details. Emma Koch invited me on her show, Water with Lemon Podcast, and we talked about how to find your own creative talents, focusing our identities in Christ, and training our creative muscle. Check it out! Graphic © Christian Publishing Show with Thomas Umstattd Jr.
Thomas Umstattd Jr. invited me on his podcast, Christian Publishing Show, and we talked about what creativity is, where it comes from and why we we get less creative over time. We also talked about things authors do that inhibit their creativity and how we can become more creative. Check it out! Rachel C. Swanson invited me on her show, Refine & Restore Podcast, and we talked about how creativity is biblical and a part of our origin, the alarming statistics concerning the drop in creative energy in adults, and why what you’re believing about your lack of creativity might be a lie. We also discussed what tapping into your creativity does for the soul and why it’s worth fighting for! Check it out! Gwen Smith invited me on her show, Graceologie with Gwen Smith Podcast, and we talked about dreaming big, activating your God-given creativity, and asking Holy Spirit each day to lead us into our callings. We also discussed how it just takes the right person in the right position to believe in your calling and how Christians should be the ones influencing the culture. Check it out! Lindsey Nadler invited me on her show, The Passionista Podcast, and we talked about discovering your calling, trusting God and having the courage to take action in the direction of your dreams. We discuss fear, overcoming the opinions of others as well as how creativity and worship will forever be interconnected. Check it out! Jennifer Bryant invited me on her show, Practical Family Podcast, and we talked about our own creative processes, how to guide our kids in their creative processes, and how to develop a self-awareness that opens up doors for God’s light to shine through you as well as how to face disappointment and perceived failure. Check it out! Emily B. Cummins invited me on her show, Becoming Me Podcast, and we talked about finding our identity in Jesus, overcoming perfectionism and embracing our creativity in order to dream bigger with God. Check it out! Dawn Sadler invited me on her show, Your Purpose is Calling - Christian Business Podcast, and we talked about overcoming fear and saying “Yes!” to God’s calling, discovering and cultivating creativity, overcoming obstacles and how to unleash your creativity. Check it out! Allie Casazza invited me on her show, The Purpose Show Podcast, and we talked about creative identity, ways to cultivate and speak life into the creative identity of your kids and overcoming the fear of walking in your creativity Check it out! Joshua Cooper invited me on his show, The Joshua Cooper Podcast, and we talked about our responsibility to glorify God as the Source of our creativity, how to work our creative muscles and creating even when we’re afraid. Check it out! Daniel Pandolph invited me on his show, Theologian of the Boss Podcast, and we talked about how to integrate creativity into the workplace, church and home and how we can all recapture our creative sides. Check it out! Kelsey Chapman invited me on her show, The Radiant Podcast, and we talked about marriage, ministry and the struggles and successes that go along with creative entrepreneurship and stepping into your God-given calling. Check it out! Hayley Williams invited me on her show, Kindled, and we talked about our creative process, motherhood, our failures and where our identity comes from. Check it out! Jennifer Bryant invited me on her show and we talked about discovering the beauty in exploring creativity from God’s eyes, and how you can bring beautiful things out in your kids… and yourself. Jenn even overcame her fears and did an amazing freestyle rap! The Vanderbloemen Leadership Podcast brings you interviews from leaders across the theological spectrum of the global Church. Theirt goal is to bring you thought-provoking interviews that encourage you, challenge you, and help you build, run, and keep great teams. In this Vandercast, I chatted with Holly Tate, vice president of marketing at Vanderbloemen Search Group. Holly and I discuss the significance of effectively living out your God-given creativity on a daily basis. On this episode of the Church Communications Podcast my friend Katie Allred and I chatted about General Data Protection Regulation (GDPR) and how it might affect your church, as well as Twitter trolls, and Facebook’s new rating system based on sentiment for pages and brands. 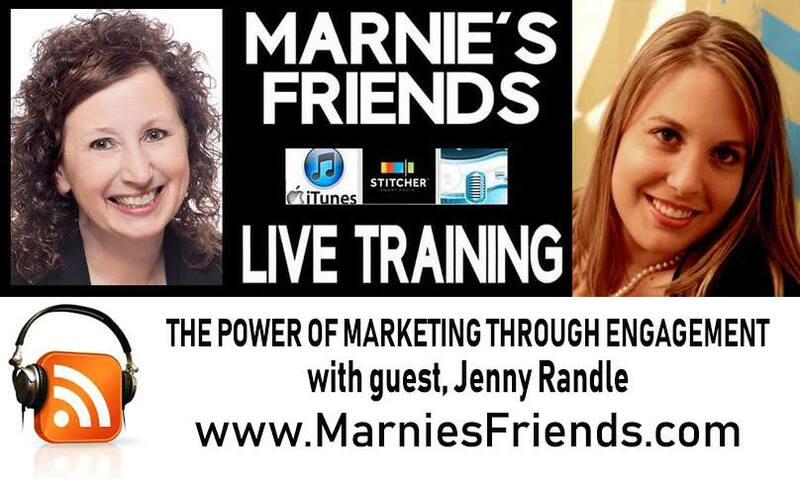 >> Want over 60 MARKETING TIPS & TRICKS IN AN EASY TO FOLLOW PDF FROM JENNY!? CLICK HERE! I felt honored and blessed to get invited to spend time with the lovely and talented Jamie Ivey over at her podcast the Happy Hour. We talked about creativity, dreaming BIG and some hard stuff too. In this episode of the Jaycast Jason interviews creative guru and Emmy Award winner Jenny Randle (that's me!). We discuss the fact that every human being was created to create. Somewhere inside all of us is that child-like creativity, that we long to get back to. Learn how you can find ‘it’ again and live in a way that you were created to blossom. Listen on in as Becky McCoy and I discuss depression, marriage and creativity on her podcast Sucker Punched. Watch this segment about how we can strengthen our creative process. Take a faith-based journey through creativity today! Looking for the list of 31 Creative Challenges that go with the segment? I've got something even better .... a full-fledged devotional. Check it out here. I was featured on Bridge Street, a live TV show for the Central New York region. Watch the segment on how we can turn that One Big Dream into tasks that we can manage and handle. Clip taken from Jenny Randle's Created to Create talk.